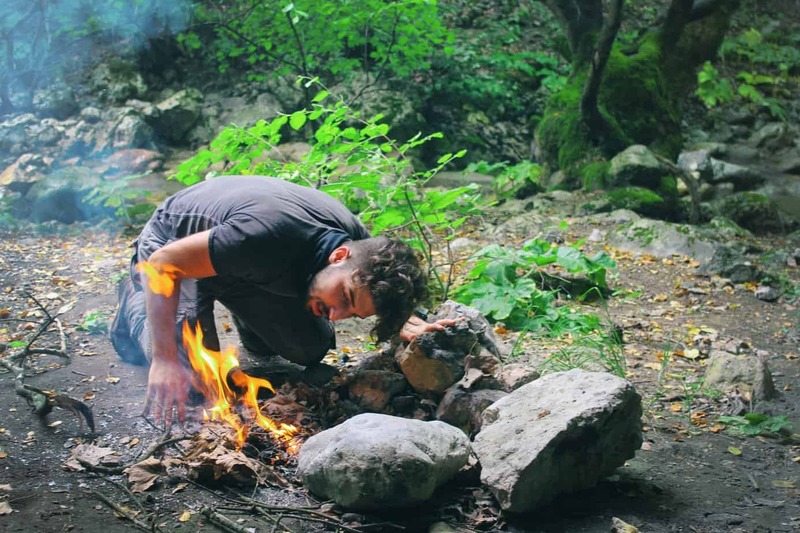 Did you see the movie Wild recently? Did you chuckle at Cheryl Strayed’s “Monster” backpack? Depending on your age, you might have worn an external framed backpack. During backpacking’s heyday in the 1970s and 1980s, external frame backpacks were all the rage. External frame backpacks were heavy, cumbersome, and just plan uncomfortable for some people. And then Greg Lowe of Lowe Alpine invented the internal frame backpack in 1967. The internal frame backpack revolutionized the backpacking industry. Internal frame backpacks became popular in the early 1990s because they are extremely light to carry and far more comfortable than their counterparts. The framework of an internal backpack is generally made out of aluminum, titanium, or sturdy robust plastic. Internal frame backpacks have many advantages over external frame backpacks because they are lighter, compact, and comfortable. However, external frame backpacks still have their uses today too. External frame backpacks are still the workhorse of the backpack industry. External frame backpacks are designed to carry heavy loads – 45 pounds and up – over wide, established trails. If you are in the market for “ultralight weight” backpacks, be sure to check out our recommendations here. The Verdict – Which is the Best Internal Frame Backpack? The gear market is saturated with internal frame backpacks today. How do you choose the right backpack for you out of the thousands of options? Purchasing a backpack can be stressful. Trust me, we’ve all been there. Some backpacks are better than others and we decided to give you our top three internal frame backpacks choices here. Internal frame backpacks are designed with lightweight materials to be compact and formfitting. Backpack companies have been innovative in recent years in their designs and materials leading to lighter packs and more comfortable fit. We looked at how well the frame transferred the load from the pack to the wait belt and comfort of the fit. The top brands are built with the best materials and are built to last. We looked at the materials companies used and how the packs stand up to Mother Nature. Internal frame backpacks are designed to carry more of the load on the shoulders compared to the hips like external frame backpacks. We looked at how each pack designed the shoulder straps and hip belts and how each is padded for comfort. Internal frame backpacks can be an expensive investment and you make to make sure that if something happens to your pack that you can get it fixed or get a new one. We looked at the warranty of each backpack company. Backpacks are designed with just about every bell and whistle you can think of today. Some are awesome additions while others are completely useless. We looked at the design of each bag for its carrying capacity, pockets, and other added bonuses for both its function and practicality. The Osprey Atmos AG 65 backpack is built for backpacking. It has recently been redesigned and features Osprey’s Anti-Gravity Suspension system. The system places a continuous panel of lightweight mesh from the top of your back to your hips for a seamless design that contours to your back for comfort, ventilation, and increased range of motion. The Atmos AG 65 backpack is built for multi-day backpacking trips and includes everything you would need, including an internal hydration sleeve, top access with a zippered front panel access point, floating removable lid, and lots of pockets and loops to attach your gear. 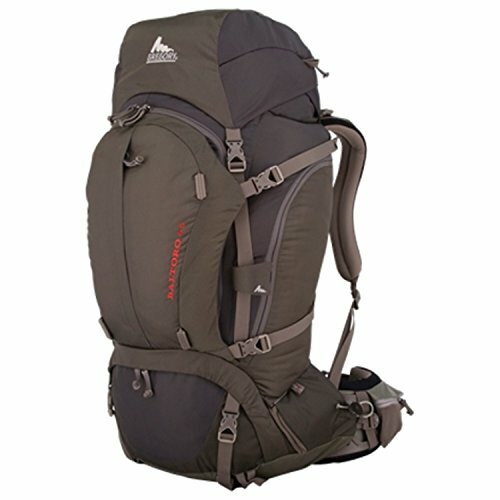 Most hikers find that the pack’s sweet load point is between 40-50 lbs of gear. 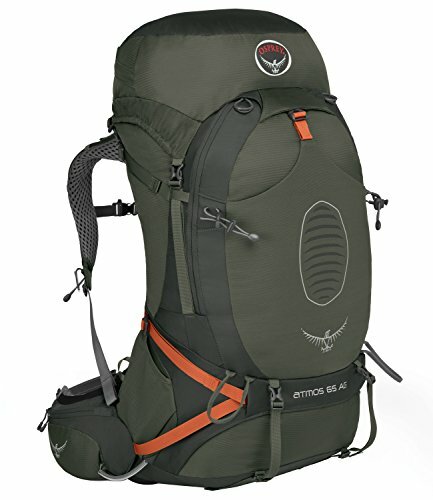 Additionally, the Osprey Atmos AG 65 is about a half pound lighter than other similar packs weighing in at 4 lbs 6 oz. The Atmos AG 65 is available in three sizes and features Osprey’s famous “fit on the fly” adjustment system. The adjustable shoulder straps allow you to fit the pack to your torso length and the adjustable hip belt offers up to six inches of adjustment to meet any waist circumference. 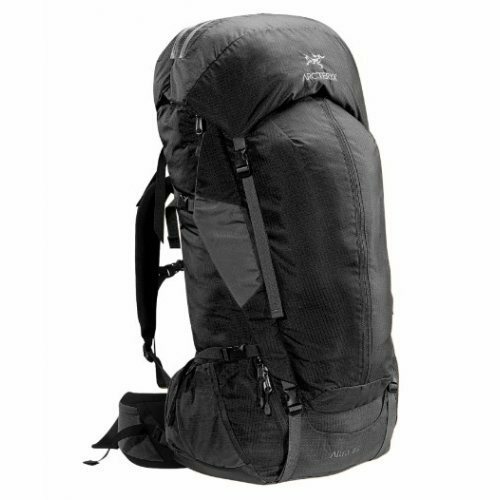 The pack is constructed of heavy-duty 100D x 630D nylon dobby main fabric. The Arc’teryx Altra 65 is built for multi-day or weeklong backpacking adventures with its new composite construction known as C2. The Altra’s new C2 system allows the pack to sit close to your body, which minimizes load movement and backward pulls. One of the most unique features of the Altra 65 is its Load Transfer Disc found on the padded hip belt. The Load Transfer Disc allows the hip belt to pivot with your movement for improved comfort. The shoulder straps are ergonomically designed and constructed of 500D nylon with Hypercell foam for stability and comfort. The straps and hip belt are all adjustable helping you to find your perfect fit. The Acr’teryx Altra 65 backpack is constructed of 210D nylon ripstop fabric with silicone to help the pack shed moisture and provide added durability and tear-resistance on the trail. The pack is hydration system compatible and has multiple pockets to stash all your gear making it one of the easiest backpacks to pack. The Gregory Baltoro 65 backpack is a streamlined and versatile multi-day backpacking backpack that is capable of carrying over 70 pounds of gear comfortably on your back for long distances. The Baltoro 65 features Gregory’s hyper-adjustable Response AFS suspension system and a pre-curved Auto-Cant harness and EVA foam Auto-Fit hip belt that pivots with your movement. These three features provide you with ultimate comfort even with mega loads and a personalized fit. The Baltoro 65 is really a packhorse on your back. The pack is designed with organization in mind. If you’re Type A, this is your bag. The Baltoro 65 has two zippered side pockets, one zippered front pocket, zippered hip belt pockets, and two water bottle pockets. The side pockets are built like cargo pockets allowing you to get the most out of them. As an added bonus the lid of the Baltoro can turn into a small fanny pack for short day hikes. Versatility at its best! While all those pockets might be awesome features, they do make the Baltoro 65 heavy. The Baltoro weight in at 5 lbs 10 oz making it the heaviest out of the three. There are thousands of backpacks on the outdoor gear market today, but only a few standouts and are worth the time to check out. Choosing the right backpack for your body and outdoor adventure needs is very personal; however, we believe the Osprey Atmos AG 65, Arc’teryx Altra 65, and Gregory Baltoro 65 are the top multi-day backpacking backpacks that you should add to the top of your list.